Sock Monkey Press was originally founded in 1996 by Scott Adkins and Erin Courtney, with a mission to bring literary and visual works together in printed matter. 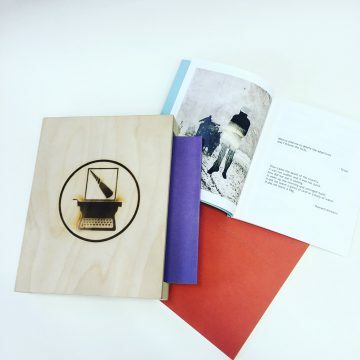 First publications included a book of poetry by Rebecca Gleason with visual art by Erin Courtney, the Mac Wellman Journal, and SHE-WOLVES/WHORES ON THE RANGE, a limited edition book by the late playwright Tom Murrin, with photography by Patricia Sullivan. Sock Monkey Press continues its original mission to represent strong literary works with publications that have a visual juxtaposition. Recent publications include SuperLoop by Nicole Callihan, Terence Degnan’s The Small Plot Beside the Ventriloquist’s Grave, Martin Kleinman’s Home Front, and an anthology edited by co-founder Scott Adkins, My Apocalypse. My Apocalypse is a collection of original fiction, poetry, plays, and essays by authors invited to investigate how they would envision the apocalypse if it were to happen on 12/21/2012. The book features a color well of 17 seventeen Dream Cards, illustrated by visual artist Glen Einbinder. Each dream card is of an image inspired by stories in the 2000 New York Times Science section. 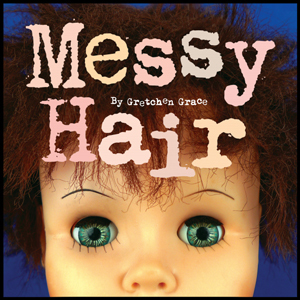 Now available, Messy Hair by Gretchen Grace, an story about two dolls who decide to have tea but realize their hair is too messy for a proper tea party. For more information, contact info at sockmonkeypress dot org.